For Rosh Hashanah, the beginning of the New Year let us all join as one and wish each other a good year. Especially during these trying times it is very important to be united. On Rosh Hashanah we pray for the wellbeing of our families, our communities and Eretz Yisroel. Let’s all unite together and wish each other a “Ketiva Vechatima Tovah”, “You should be written and inscribed for the good, and have a Happy and Sweet New Year.” Each member of the Shul will receive a Shana Tova Card inscribed with your name along with the other participants’ names. Don’t miss out: Put your name on the card! 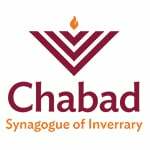 Deadline: 9th of Elul 5779, August 19th, 2018.